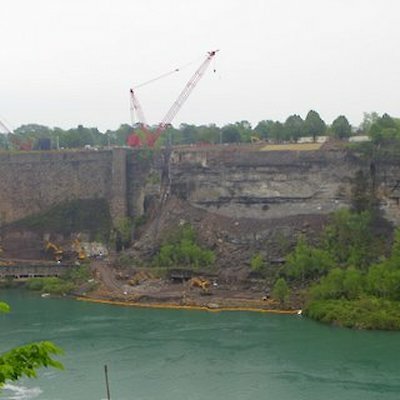 I blogged on May 8th about the new dry-dock that is being built on the U.S. side of the border on the site of the old Schoellkopf Plant and said I’d post every few weeks about the progress. Well, true to my word here are a few photographs taken today. You can see that there appears to be quite a bit of progress. 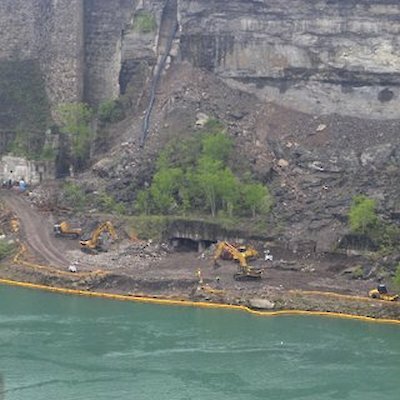 The area looks greatly cleaned up and a temporary elevator (look to your left of the photo) has been built and being used. The dock is scheduled to open next spring to accommodate two,” Maids”.